sujatha baliga’s work is characterized by an equal dedication to crime survivors and people who have caused harm. She speaks publicly and inside prisons about her own experiences as a survivor of child sexual abuse and her path to forgiveness. A former victim advocate and public defender in New York and New Mexico, sujatha was awarded a Soros Justice Fellowship in 2008 which she used to launch a pre-charge restorative juvenile diversion program in Alameda County. Through the Restorative Justice Project sujatha helps communities across the nation implement restorative justice alternatives to juvenile detention and zero-tolerance school discipline policies. As a Just Beginnings Collaborative Fellow, she is also dedicated to using this approach to end child sexual abuse and intimate partner violence. 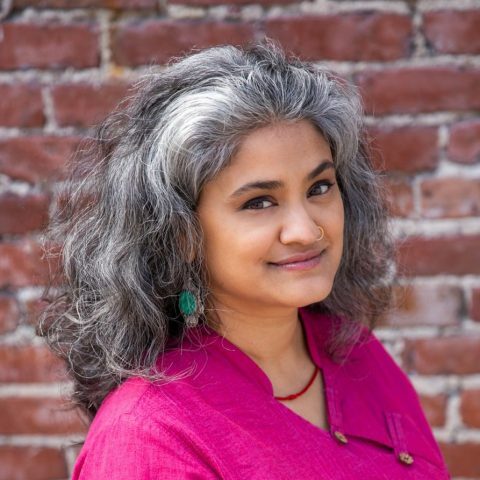 sujatha is a frequent guest lecturer at universities and conferences; she’s been a guest on NPR and the Today Show; and The New York Times Magazine and The Atlantic have profiled her work. She earned her A.B. from Harvard College, her J.D. from the University of Pennsylvania, and has held two federal clerkships. sujatha lives in the Bay Area with her partner Jason and their child, Sathya.